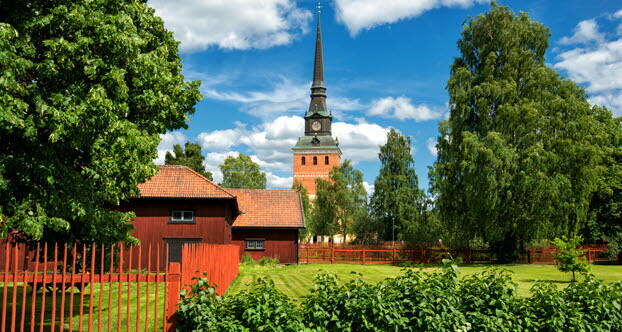 On the west side of Central Sweden, you’ll also find the most Swedish of all the provinces – Dalarna. Dalarna is known for its national costumes, red cottages, painted wooden horses, folk musicians’ rallies and traditional Midsummer celebrations. Not to mention the beautiful nature with glittering lakes, high mountains and deep forests. In the winter, Dalarna is a popular destination with skiers. There’s lots to do in Dalarna. Visit Father Christmas in the fairy-tale land Santa World, located by the foot of Gesundaberget mountain, row a traditional church boat, see bears close up in Orsa Grönklitt bear park, swim in the water park at Leksand Resort, see the world’s biggest painted wooden horse (13 m tall) outside Avesta or cycle round the beautiful Lake Siljan. On Lake Siljan’s biggest island Sollerön, you can visit Dalarna’s biggest grave field from the Viking Age. The well-known cross-country ski race Vasaloppet is run between Sälen and Mora. In the summer, you can hike along the whole stretch, a 90 km footpath in Gustav Vasa’s footsteps. If you would like to experience the history, you should visit a living summer pasture. At Bastberget summer pasture, cows and sheep graze, and you can try baking thin unleavened bread, make soft whey cheese or just enjoy the environment and views. If you like art, you can visit the homes of Anders Zorn and Carl Larsson in Dalarna. 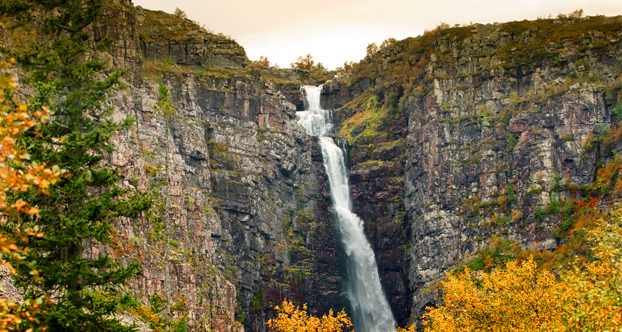 Don’t miss Sweden’s highest waterfall Njupeskär, the popular walk along Långbryggan in Rättvik and the fantastic outdoor concert arena Dalhalla, which is located in the old limestone quarry outside Rättvik. If you like cars, you should visit Rättvik at the turn of the month July-August when Sweden’s biggest rolling car exhibition ‘Classic Car Week’ is held.